Lee Jong-im, a pop culture expert and author of “Idol Trainees’ Sweat and Tears,” goes beneath the surface of the heavily fortified K-pop industry and lays bare some ugly truths about the challenging idol training system. Sitting down at a cafe in central Seoul, she shared valuable insight gained through months of research and numerous attempts at interviews since 2016 -- a time when idol training shows like Mnet’s “Produce 101” were just starting to gain a presence on South Korean TV. “The trainees (I met) practiced in separate gender-segregated studios until 10 or 11 p.m., depriving them of opportunities to mingle and leaving them with no time to meet anyone,” the researcher said. Things are especially hard for those who have to juggle training with school life. According to Lee, school-age trainees cannot rely on their parents, as more often than not it takes a great deal of persuading to get parents on board and win their support to pursue an idol career in the first place. The children feel almost obliged to “make everything seem perfect” out of fear of disappointing them. Relationships with teachers can be distant too, as many idol trainees stay in school only until noon so they can attend private academies. Operating on different schedules also means idol trainees have less in common with other students, which deprives them of a chance to make friends and makes them too dependent on the talent agency staff for someone to talk to, she explained. Lee’s revelation echoes criticism the industry has faced for its strict beauty standards. Minzy, formerly of 2NE1, said during a recent interview with Billboard magazine that it was “tough” to be branded the “ugly group.” During a TV appearance in 2012, viewers learned Yang Hyun-suk, CEO of YG Entertainment and Minzy’s boss at the time, called the musicians “really ugly,” leaving the panel members visibly stunned. Though agencies sign trainees on to provide training, it is not free of charge. Once the young entertainers begin earning, they have to pay back their expenses. For instance, agencies keep receipts for travel tickets and meals and they later charge their trainees for these things. Lee added that one trainee who appeared on “Produce 101” and enjoyed a modest level of success was forced to perform at several small events to pay off “debts” before his or her contract expired. As major entertainment agencies came to dominate the industry and ushered in a powerful fandom culture where CDs are often bought in bulk, Lee witnessed too many entertainment agencies jumping on the bandwagon of creating idols for profit -- encouraging young people who wanted to be dancers, models or solo artists to strive for debuts with idol groups, regardless of their career aspirations. “I think it might be because the entertainment industry has grown mainly on the backs of idols who can also act and do commercials -- the one-source, multiuse model designed to generate profit and attention very quickly,” she said. 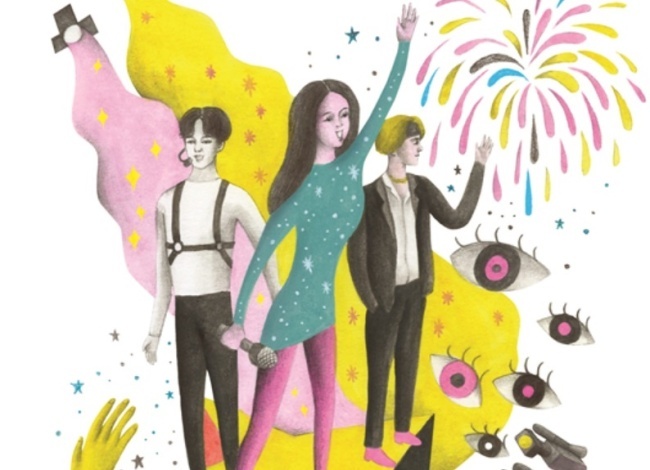 “Idol Trainees’ Sweat and Tears” has been published in Korean by the Seoul Institute, a Seoul Metropolitan Government think tank, as part of its “Minority Report” book series, which seeks to give voice to minority points of view.